Cold weather, darker nights and a fading tan. These things do not make for a smiley us. But blankets, candles and cosiness are our reliable happiness guarantees, and that, my friends, is simple science. Time to get hyggeing / lykkeing / lagoming chez vous. I’ve just moved house and I can hardly bear living with a light fitting I didn’t choose. The thought of completely gutting a place before making it habitable again makes my head hurt. These local ladies have taken on projects that would make Kevin McCloud wince — and they've come out the other side. If you're crazy enough to want to follow in their tracks, we've picked their brains for valuable how-tos and the mistakes to avoid. Working from a kitchen table, bedroom desk or an actual proper office? If you're spending long periods of time staring at your laptop and PowerPoint presentations that never end, you might as well make your surroundings look exceptionally lovely. Everyone knows Etsy is the online home of crafty and jewellery hits and, if you didn't, maybe best to just nod along and look knowing. Less explored, howevs, is the oodles of other goodies — from food to photos — that their well-preened website houses. Imitations on the high street will come and go but design classics will endure. The price tag may prohibit buying six for the dining table, but we’ll be happy with one as a feature piece. Our uni house mate once cried when the IKEA ad came on TV. In her defence, we'd had a big night, and she is Swedish. IKEA recently hosted Democratic Design Days, an insight into upcoming collections and products. The YPPERLIG collaboration with HAY, a Danish husband and wife duo is one to make minimalist design lovers the happiest kind of happy. Sometimes the sad-looking lilies at Sainsbo's just won’t cut it. Flowers that look natural and wild aren’t easy to come by, so we asked Katy from Bloom Collective for help making our own bouquet at home. If we had our way it would be on the national curriculum, but hanging art is a skill nobody's taught. Benefit from our lifetime of fastening faux-pas as we put some science (learnt the hard way) behind the guesswork. Strike out at the first sign of sun with a well curated picnic. Swankiness levels can be upped with the help of OKA's glassware, ice buckets and — of course — the obligatory fizz. About as close as we’ll get to buying anything pink – rose gold is warm and feels super luxey. Contrast small accents with a dark colour, such as a charcoal grey wall, to make the metallic really pop. A period mansion and full staff aren’t prerequisites to hosting a right proper-grown-up dinner party. We've been chitchatting with Natasha Johnston — the interior designer at the new OKA store in Edgbaston — to get advice on how to expertly style three very different types of dinner party. Invites to follow. 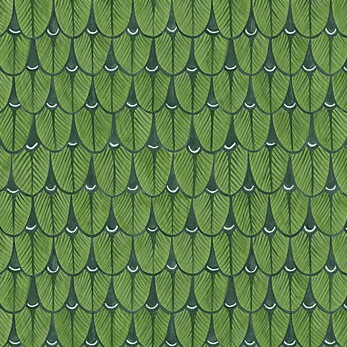 Pantone has declared Greenery the colour of the year. If you want to get technical, it's all about 15-0343. Yep, we're not too keen on the tangy shade either, but here are some less Kermity takes on the tone, to help turn your house into an urban jungle. By all definitions, this new wallpaper collection, which forms part of Cole & Son's Ardmore range is maximalist. For extreme impact, use a combination of patterns, like Narnia (pictured first) and Khulu Vases (pictured second). Both draw inspiration from the fantastical flora and fauna of Africa. Or pair with charcoal grey to retain a semblance of subtlety. Velvet is having a bit of a moment. This olive chaise longue from Love Your Home offers a luxey take on two big interiors trends. Clean lines and simple piping, the Tallulah in fir varese velvet has a mid-century feel and it sings next to Little Greene's muted Salix silver-grey paint.  So dark it appears almost grey, Studio Green from Farrow & Ball has an enduring, old-world quality, which immediately makes us want to drink tea from china cups. 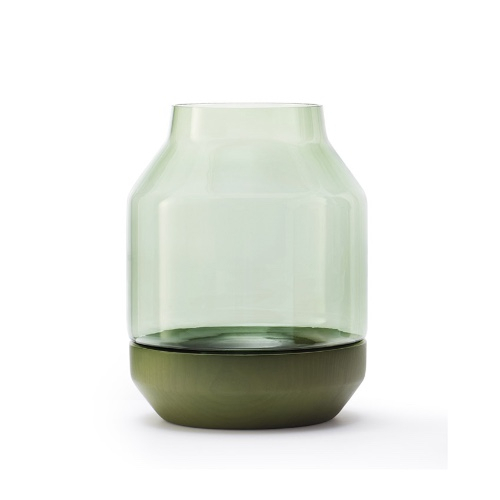 Bring out the verdant tones of the paint with handblown, Scandinavian Muuto glassware inspired by nature. Whether you're lacking in ideas for the giving or receiving side of December 25, we're covering off all the major gift-based food groups. Highlighting your new favourite thing and forwarding this email to the primary gift buyer in your life is totally acceptable. We won't tell. 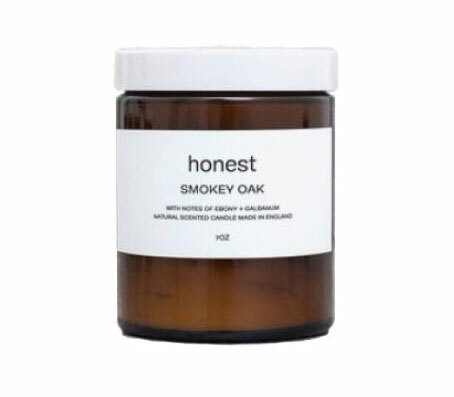 1 The dark woody notes of Honest's Smokey Oak are the closest thing you'll get to a log burner without making structural alterations to your home. 2 Avoid eating off these dalmatian print plates from Copper & Solder. Use them instead as a super chic coaster, or just gaze at them lovingly. 3 There's no such thing as too many blankets. And this navy chevron throwfrom Oliver Bonas is a sumptuous addition to the most advanced collections. 4 A handwoven seagrass belly basket from The People Shop is the ideal storage solution for an excess of blankets. Which you now have. 1 Bum bags are only ever acceptable at festivals. For the rest of your journeying, get this insanely cute currency wallet by the authority in leather — Aspinal. 2 Cashmere is warm and comforting. Planes are not. 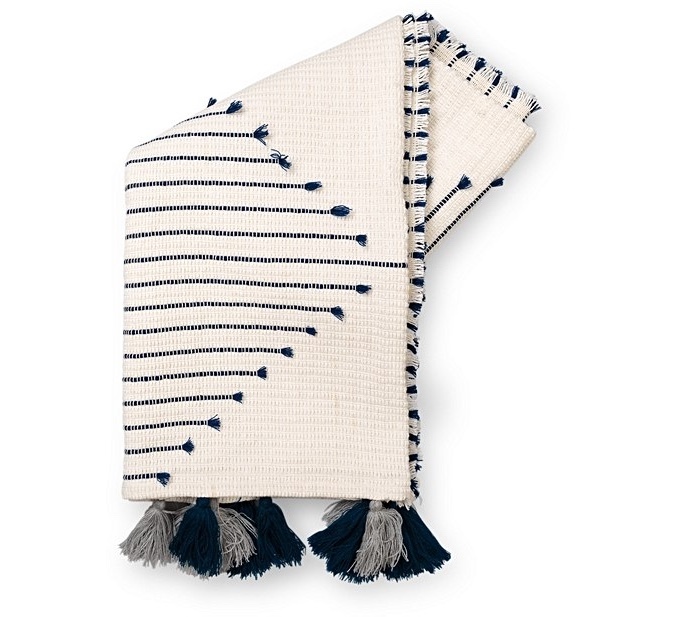 Be more cashmere with this cosy scarf from The White Company, complete with actual pockets. 3 Birmingham's Dalton Bros make backpacks for taking on the globe. Carry all the things in this grey, lambswool and bridle leather beauty. 4 Corners of the world still mystify cartographers and explorers. Beautiful imagery and detailed maps are the rule in this book of incredible places. 1 Win at winter in the Adidas Climastorm waterproof jacket. Warning: you'll be left with zero excuse when it comes to that early risers' jog. 2 Keeping hydrated just got sophisticated and sustainable. Onegreenbottle is made from stainless steel, is endlessly reusable, and it's pretty. 3 APL's got actual patented technology proven to make you jump higher. It's enough for us that their Techloom Pro trainers come in a black metallic knit. 4 Like a cult — except with benefits to your wellbeing — once you've practiced on a grippy, cushioned Liforme yoga mat, you'll be a forever convert. 1 The Tivoli cube wireless speaker sounds (and looks) exactly as it should whether playing Brahms in the bathroom or Coltrane in the kitchen. 2 Capture big ideas for a future oeuvre in this sketch book from local, scandi-inspired operation Houston's House. It's A4ish and super sleek. 3 Follow the rise of jobbing photographer Slim Aarons in Women, a beautiful, coffee table-worthy record of the portraitist of the rich and beautiful. 4 Boxed, crafted pencils from Faber-Castell instantly elevate etchings. An abundance of enduring design classics are for the coveting at the shiny new existenzminima store on George Street in the Jewellery Quarter.